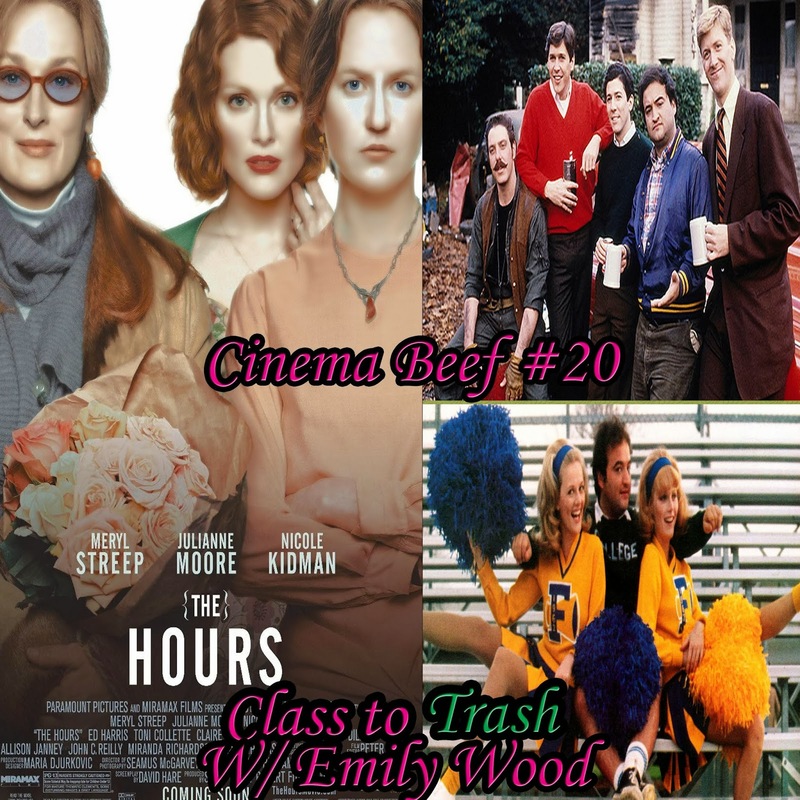 Cinema Beef is back with one of my podcasting angels in tow. "Queenie" Emily Wood is back with me with a purpose. To bring culture to me on film at a time. Or make me watch something I'm not gonna like. Find out when we discuss the 2002 drama The Hours. Next, culture and good taste takes a nose dive when we talk about Emily's hatred for the slob comedy when we discuss National Lampoon's Animal House from 1978. So, listen in and see if there are any tears, or possibly blood, shed in this culture clash. Don't forget to enter to win the Heather Langencamp autograph by telling me what your first cinematic experience is. E-mail me, call the voicemail or send me an mp3. All entries will be shuffled and a winner will be picked at random. Don't miss out!